alcatel announces its new batch of PIXI smartphones soon to hit Manila. These PIXI smartphones are exceptional, global-brand handhelds that offer the most sought-after features at an unbelievably accessible price. PIXI FIRST demonstrates alcatel’s dedication to offering premium smartphones that are accessible to everyone. You won’t see such attention to detail and high-end features in other smartphones in this category. It also seems like alcatel did a lot of planning when it came to the PIXI FIRST’s design. It ships with a 9.7mm slim body (the slimmest amongst the 4 inch categories in the market) and is available in 3 striking colors: Metal Silver, Metal Gold and Soft Slate. The PIXI FIRST also comes with a 1.2Ghz quad-core processor for fast gameplay. For selfie addicts and freaks, the PIXI FIRST also caters to you folks with 8 megapixel rear camera and 5 megapixel front camera. 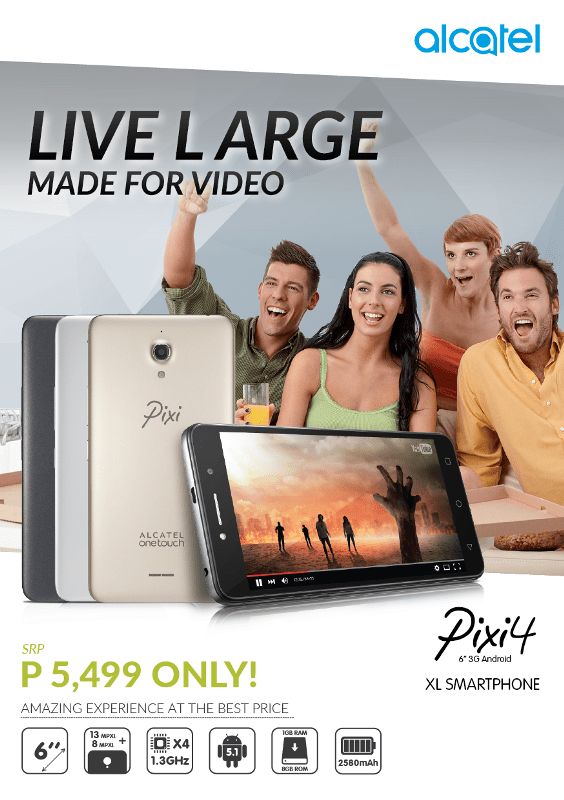 The best news is the price as the alcatel PIXI FIRST can be owned for only Php 2,999. And for users who demand more oomph from their devices, alcatel’s PIXI 4 family offers premium entry-level smartphones and tablets with better design, better audio, better camera, and even better battery life. 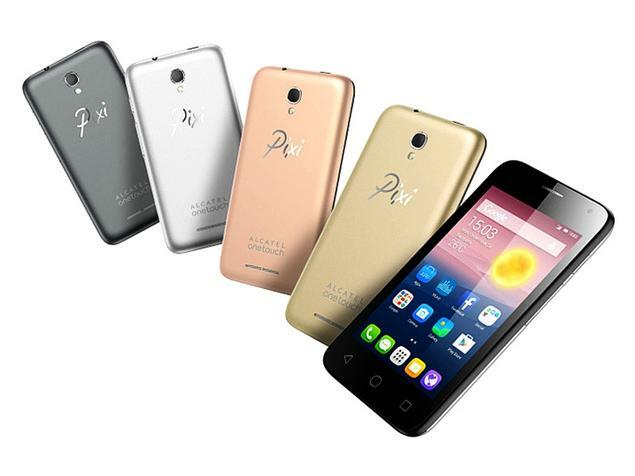 With its compact form, the PIXI 4 family is among the slimmest models in the entry-level segment. The 7-inch unit is offered in basic colors, Grey and White, while the 6-inch unit is offered in classy colors, Metal Silver, Metal Gold, and Volcano Black. The front flash on the 6-inch phablet guarantees great selfies — even in the dark. A better media experience is also provided by the PIXI 4. Sound is louder and clearer on all apps, music/video players, and streamed content thanks to Arkamys optimized speakers. The large displays of the phablet and tablet are perfect for viewing multiple windows. 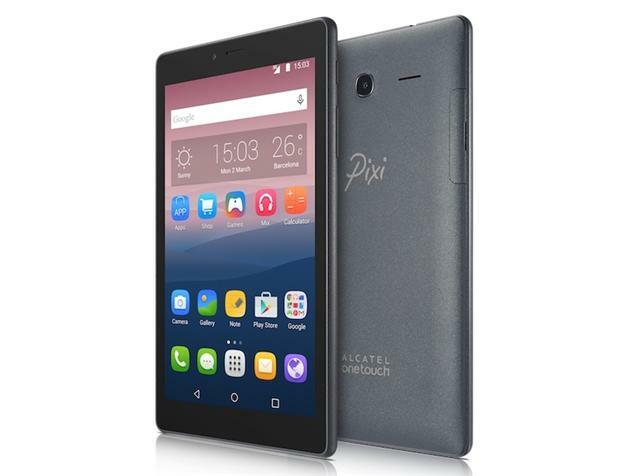 The spacious display of the PIXI 4 6-inch phablet is easy to manage even with one hand thanks to its dedicated software. In addition, commands are activated with just a touch of a finger, such as double-tapping to switch the phablet on. 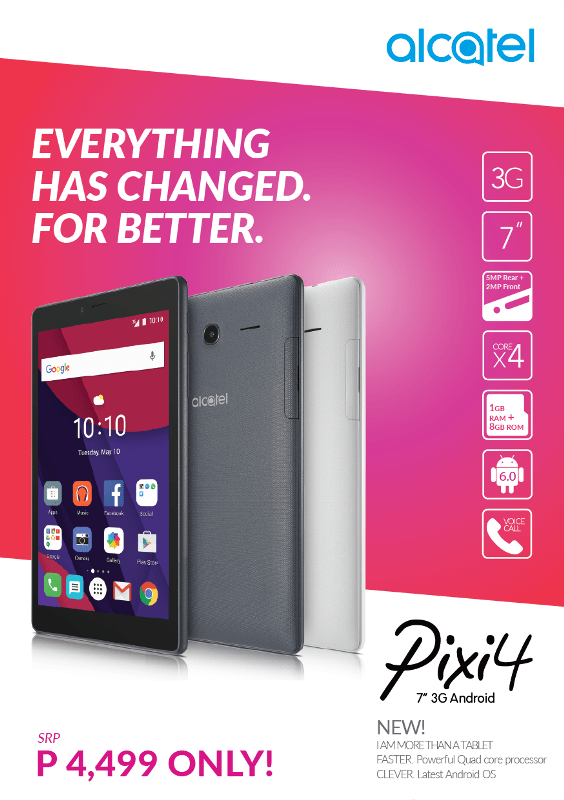 Compared to the previous generation, the PIXI 4 7-inch tablet is even more compact and thin. It runs on powerful chipsets with a new IP52 feature (splash and dustproof); it is also voice-call-enabled. With smart power-saving functions that extend browsing by 25 percent, the P5,499 price point of the PIXI 4 6-inch is ideal for the features it offers, while the 7-inch unit is priced at P4,499. alcatel is a recognized global brand through which TCL Communication makes the latest mobile technologies accessible to everyone. Its products and solutions resonate with millennial and Gen Z consumers with a simple, personal, authentic and fun approach. By combining an understanding of local markets and control of the end-to-end manufacturing process, TCL Communication under thealcatel brand delivers customized user experiences with innovative, feature-rich, high-performance mobile devices that allow consumers to explore and amplify the joy in the everyday. TCL Communication is a public company listed on the Hong Kong Stock Exchange (2618.HK) and part of TCL Corporation, one of the largest consumer electronics companies in the world. alcatel is a trademark of Alcatel-Lucent used under license by TCL Communication.